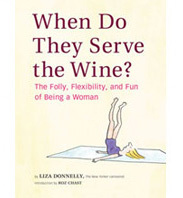 Smack-For-Your-Man | When Do They Serve The Wine? If you were watching the Murdoch hearings yesterday, you were witness to a new level of “stand by your man.” Rupert Murdoch’s wife, Wendi, leaped to his defense, smacking a pie-attacker on the forehead. It was just the drama we wanted. Up until the moment Wendi jumped into action, she appeared to be the typical wife-standing-by-her-man-in-uncomfortable-situations (even though she was sitting most of the time). But she proved to be something different, and whether or not you like Rupert Murdoch, one couldn’t help but like Wendi. Who wouldn’t want a spouse with those kind of instincts, that kind of dedication and sacrifice? Mr. Murdoch may have made some questionable decisions in his career, but marrying Wendi was not one of them. If not for her, he would have had to suffer an even more “humbling”, and messy, situation. I drew this cartoon last week, but thought it would respond to this new dynamic perfectly. Lately, we have not seen American wives standing by their men: Anthony Weiner’s wife was nowhere to be seen when he resigned. However, while DSK’s wife did not literally smack any attackers, she used her money to attack them as best she could, as she stood by him. It’s a mixed bag of wives today. One gets the feeling that Wendi was not acting out of social convention, but instinct motivated by affection. I imagine that even if Wendi detests liverwurst, she would not only make the sandwich for Rupert, she would make one for herself, and eat it. And smack anyone who tried to take Rupert’s sandwich away from him. This entry was posted in Uncategorized and tagged Anthony Weiner, DSK, Rupert Murdoch, spouse, Wendy Murdoch, Wife, wives. Bookmark the permalink. No doubt Tammy Wynette would be very proud of Wendi. It was great! 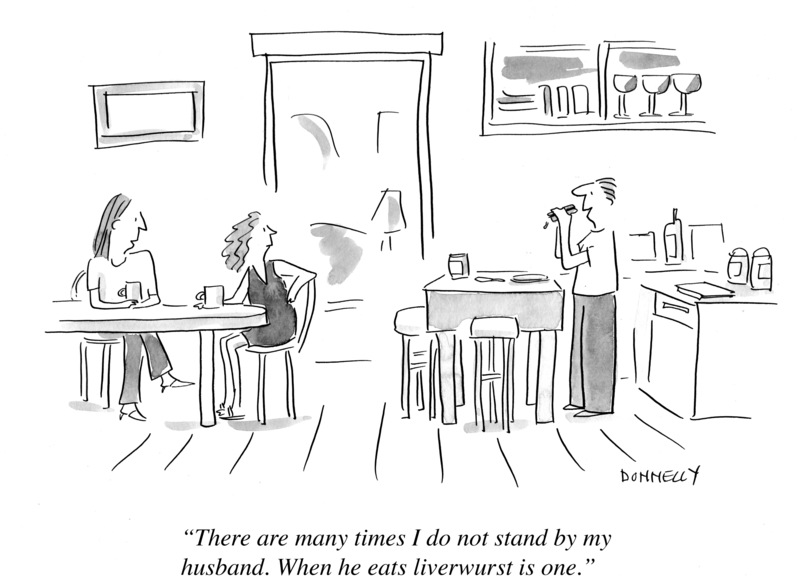 Nevertheless, anyone who stands up for liverwurst should be smacked.